Make of Mexico the excuse for your next vacation and get your senses ready for an experience full of magic, color and warmth. Come and fall in love with Mexico! Again and again, Cancun timeshares, Mexico will surprise you with new experiences: a different flavor, a new adventure, a spot waiting for centuries to enchant you. We’re waiting for you! 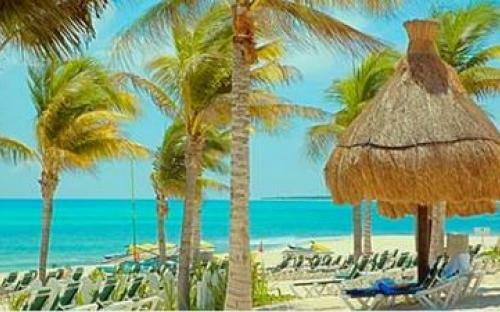 Experience the beauty of Mexico with Cancun timeshares. Explore beautiful beaches, great shops, dining and nightlife. Whether you're here for an adventurous or a relaxing vacation, we make sure you have a wonderful time. 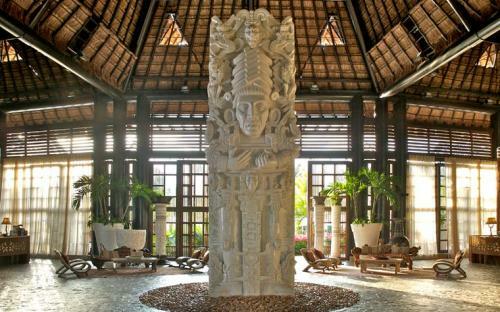 Fly to Cancun and head south to the 112-mile stretch of coastal paradise known as Riviera Maya. Stretching from Puerto Morelos to the north (15 minutes from the Cancun Airport and often considered Riviera Cancun) to Tulum to the south, Riviera Maya has it all!. 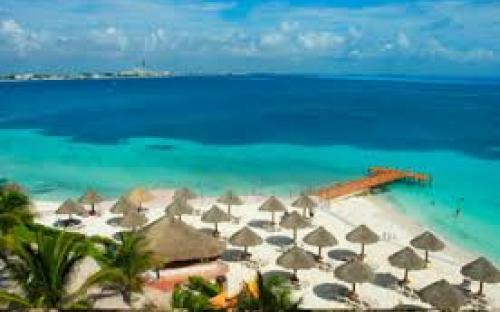 White sand beaches front turquoise waters, tropical jungles and ancient Mayan ruins. 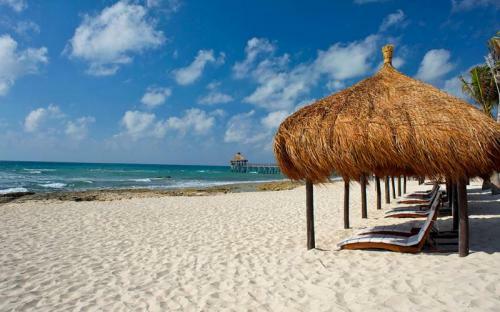 Visit Playa Del Carmen and its trendy Fifth Avenue, known for great shops, dining, golf and nightlife. Further up the coast are the popoular resort areas of Puerto Aventuras and Akumal Experience underwater life on the Great Maya Reef, the largest coral reef in the Northern Hemisphere. Discover ancient Mayan cities including Tulum, the only archaeological site located by the sea and Chichen Itsa, one of the new Seven Wonders of the World. Visit to Xel-Há, the world's largest natural aquarium, and Xcaret, where you'll see fascinating indigenous wildlife and can snorkel in underground rivers. Swimming by the only archaeological site located by the sea... Tulum. Spend a day of amazement interacting with Mexican culture in one of the most spectacular theme parks in the world- Xcaret. Snorkel in the larget natural aquarium in the world- Xel-Ha. Stroll along "La Quinta Avenido" of Playa del Carmen and enjoy the wide variety of bars, restaurants and shops. Discover the underwater world at the largest coral reef on the northern hemisphere... Snorkeling and Diving. Get in touch with one of the greatest biodiversities in the world on the Biosphere Reserve of Sian Ka'an. European immigrants brought their traditions, in particular a kind of music that became the trademark of Sinaloa (the Mexican state where Mazatlan is located). You might find yourself dancing to Banda, a form of music that injects Latin energy into German oompah music. Unique to Sinaloa, it was created when Bavarian immigrants arrived around the turn of the 20th century. You’ll find that the Mazatlecos, as the locals call themselves, are fun, friendly and helpful. Anytime of year is good to mingle in cafes and restaurants, but if you want to join the town’s most famous celebration where folks party and dance in the streets, Mazatlan’s famous Carnaval is rivaled in Mexico only by the one in Veracruz. Mazatlecos are justifiably proud of the gentrification and restoration of the 19th century mansions in the once-crumbling downtown area. Imagine an architectural combination of the pastel palette of Miami Beach and the wrought iron balconies and languid patios of New Orleans. The Mazatlecos call it Tropical Neoclassical. Foodies will love the variety of restaurants here—from rustic beach shacks to romantic candlelit courtyards. Shrimp doesn’t come any sweeter or fresher and the talented chefs all over town have mastered local recipes. Try them breaded in coconut, marinated ceviche-style in lime juice, mothered in garlic and butter, flambéed in tequila, spiked with a Diablo sauce or just plain steamed. Getting to Mazatlan is easy, either via good motorways, the international airport or the marina. Once you arrive the choice of accommodation ranges from small family-run hotels to luxurious properties in the Zona Dorada, complete with gourmet dining and spas. Puerto Vallarta has received many global accolades that are a testament to the uniqueness and warmth of the city. The destination has been voted the friendliest city in the world by Condé Nast Magazine (2003), the best place to retire globally by The American Association of Retired Persons (2010) and the best Mexican Vacation Destination by USNews.com (2010), beating out Cancún and Los Cabos for the top prize. The natural attractions that make Puerto Vallarta a magical place are three in number: the Sierra Madre Mountains, the rivers that flow down from them, and the Pacific Ocean. These come together in this extroadinary beach resort. We invite you to bask in Puerto Vallarta´s beaches, where you will find endless activities to participate in, albeit scuba diving, walking on the gold sandy beaches, whale and dolphin watching, and in the near future, listening to the mesmerizing sound of waves or, taking in one of Vallarta’s unparalleled sunsets. Today, Acapulco is considered the country’s 16th largest metropolitan area and one of the most important destinations since its golden days in the 1950s, when the boom of high rises came about. President Miguel Aleman promoted the construction of the Carretera Escenica (Scenic Highway), linking the international airport to the city of Acapulco. During the following two decades, the port became a favorite jet set destination for people like Elvis Presley, who even filmed the movie Fun in Acapulco. During the 1970s, the residential areas of Las Brisas, Brisas, Guitarron and Brisas Marquez were built, and they became home to the most luxurious houses of businessmen and Mexican and international artists. Glamorous, spontaneous and splashy, Acapulco is a city that invites superlatives. It delivers an actionpacked, 24-hour exuberance that makes every moment count, with an array of attractions and activities to please almost any visitor. Located in the State of Guerrero, Acapulco can be described as an important deep sea and coastal traffic port located on the Pacific Ocean on the western side of the natural Bay of Acapulco. Known as the queen of Mexican beach resorts, this charming bay is everpopular with year-round, foreign and domestic visitors. 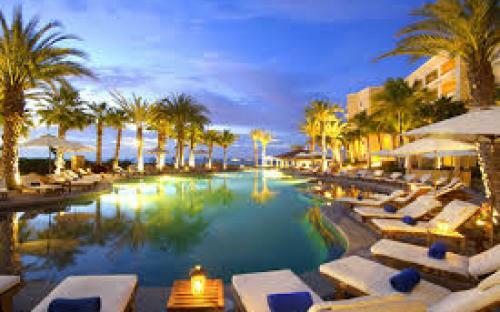 Is the largest, loudest and most boisterous resort in Mexico. Its tempo is more urban than resort, as the city approaches 1 million residents. 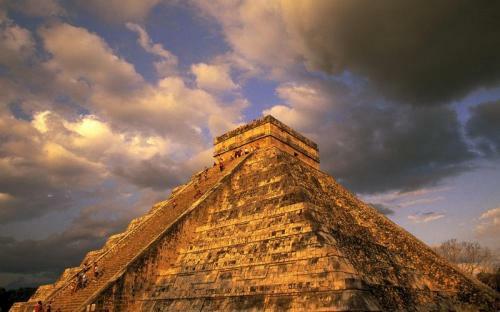 It also showcases the carefree, carnival atmosphere for which Mexico is famous. Acapulco is a privileged tourist destination, with its two magnificent bays: Santa Lucia, known as Bahia de Acapulco (Acapulco Bay), and Puerto Marques, boasting incredible natural beauty and cliffs. The bays are surrounded by golden sandy beaches and exotic tropical vegetation and embraced by the Sierra Madre del Sur Mountain Range to the east. Acapulco is the first choice for party lovers. 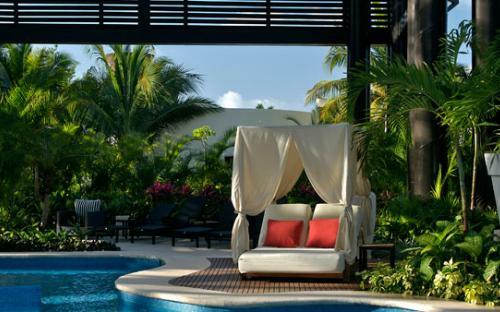 Honeymooners fall in love with the resort’s tropical beauty and festive Mexican atmosphere. The area also appeals to families, due to the variety of its several parks, calm beaches, and the CiCi water sports park for children. Sports enthusiasts also have plenty to do. Water sports of every variety lure visitors to the seashore, while golfers are beginning to recognize Acapulco as a world class destination. For early risers, there are several new eco-based tours that take in the area’s lagoons, jungles, islands, and estuaries. Dining is diverse, not only in cuisine, but also in setting. Most restaurants are al-fresco, and many offer breathtaking views of Acapulco Bay. Shopping is excellent, either in the resort’s several American-style malls, or at its bustling downtown mercados (markets). Acapulco has more than 200 hotel choices and some 18,000 lodging units. But only a relatively small number of these hotels are known to American and Canadian travelers. This is somewhat ironic, since Acapulco is also home to two of Mexico’s most recognizable and popular hotels: the Fairmont Acapulco Princess and Las Brisas. For every type of visitor, Acapulco has it all! 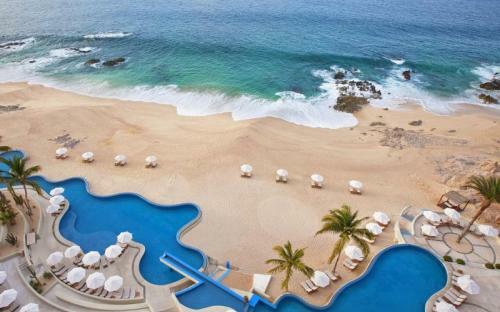 Mexico's fastest growing resort area offers miles of empty desert and deserted beaches. Laid-back nightlife and old-fashioned fun in the sun is the Cabos' lure. Only certain beaches are safe for swimming, however, including Lovers' Beach and the more tempestuous and aptly named Divorce Beach. Whale watching, hang-gliding, snorkeling, antiquing, golf and fishing, Loreto's historic mission, and sport fishing and dining in capital La Paz are other attractions. SuburBaja buses travel the coast.